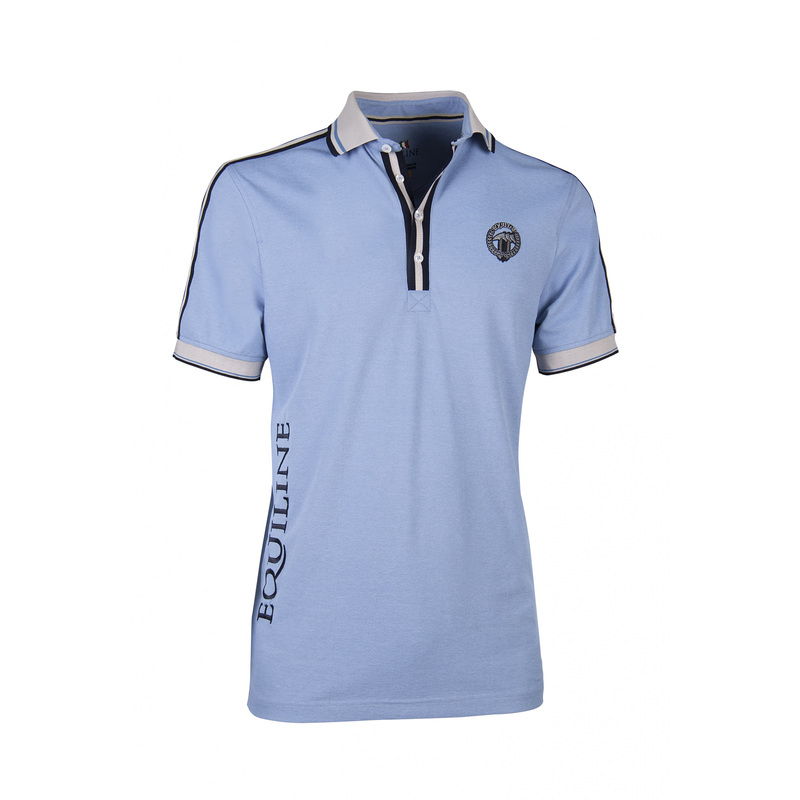 Men's Delbert polo shirt in interesting colours, it has a contrasting collar and trimming of the sleeves. 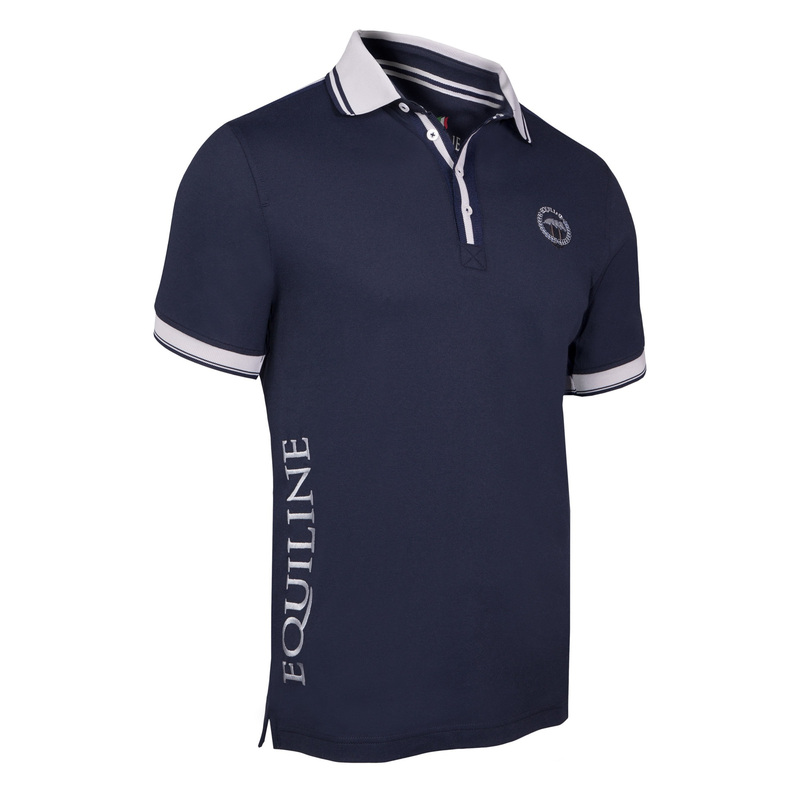 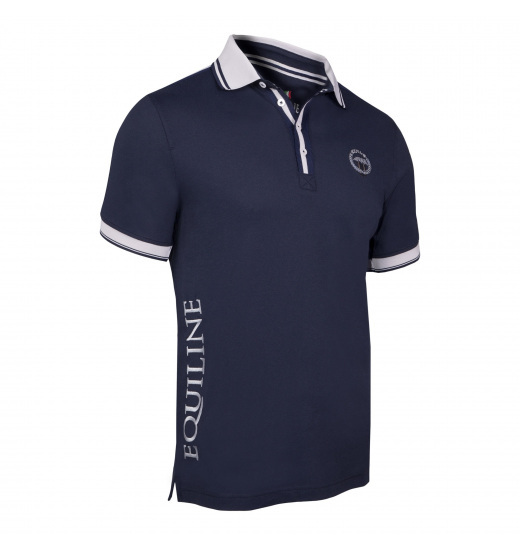 The shirt is fastened with four buttons, and has a silver Equiline logo on the chest. 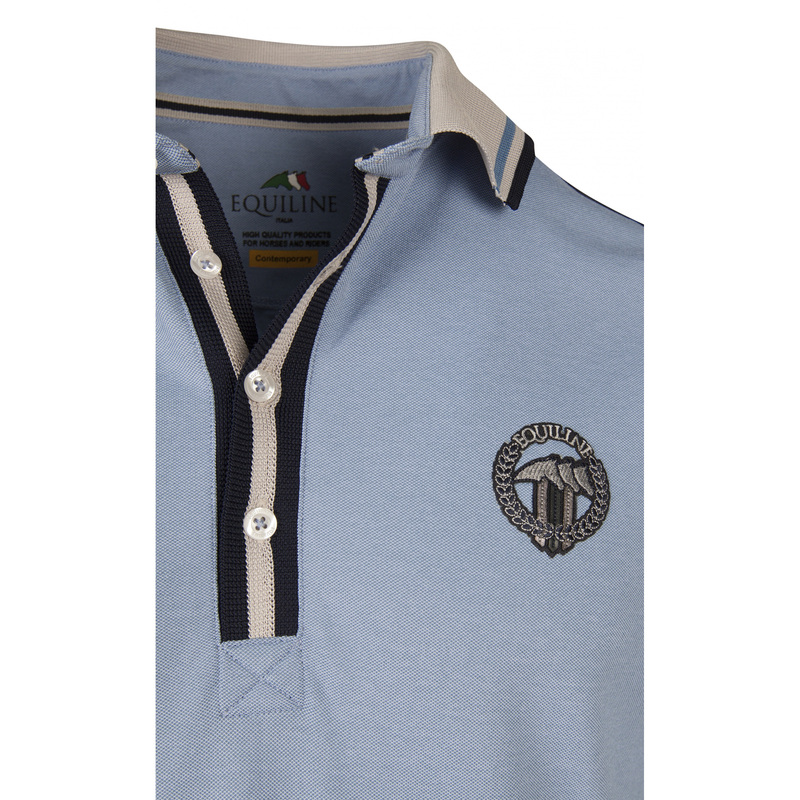 There is also the brand's name on the side of the shirt.